I was so excited to sew this top as i have had it on my to sew list, I couldn’t wait to cut into the fabric! Good thing i picked up some more ink at the store after getting the fabric because i ran out as i was printing the pattern! Then sticking it all together. Yeah i may end up taking the other patterns to get printed out at office works! Because i’m already over it! I did buy way to much fabric! i could totally make another top out of the left overs. Maybe not a bess but probably a quick top (jocole).I will wait until the end and make some more tops out of left over fabric for sure! Thanks to my friend Jenna for the awesome photos! Now about this Bess Top pattern. This was my first time using an imagineGnats pattern. The sizing is spot on for me! i chose the high neckline and shirt length. I really enjoyed sewing this top! I love the end result! I have a similar pattern from simplicity but it has way more steps. This pattern i can get a similar look faster and it actually sits so great! I used pre-made bias tape for the neck, arms and hem so it does sit tiny bit longer then it would if i had used the knit binding. I also always bind my arm holes flat. It saves time and doesn’t make me swear scream. I overlocked the side seams and used pinking shears on the shoulder seams. I just love the high low bottom and the way the fabric flows! it’s so comfortable! This pattern is going to be my go to pattern for quick easy tops! Thanks so much for reading along, i hope you stay tuned for the next 4 tops! 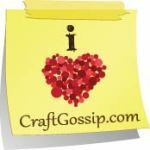 ← Is CoSchedule worth it to a craft blogger?